Join Troutdale at the Gateway to the Gorge for their 44th annual SummerFest. 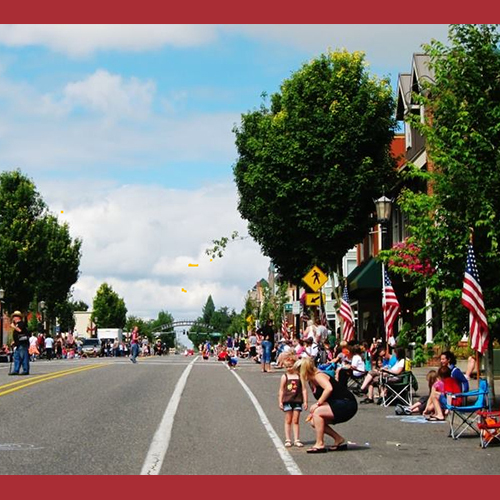 On July 23rd from 11:00 am until 5:00 pm Historic Downtown Troutdale will be full of family-friendly activities, music and great food. Join us for Troutdale’s 44th Annual SummerFest on Saturday, July 23rd.The event kicks off with a pancake breakfast and a display of cars, from back in the day and how they’ve changed throughout the years. Enjoy a community parade through Troutdale, chalk it up with your kids, and spend the day with family and friends in Glenn Otto Park. Also have fun with facepainting, an egg toss, water balloon toss, music, food from the community, a dunk tank, and pony rides! Join in on the 1st Annual Columbia Gorge Cupcake War!The winning team wins $500 plus their display and cupcake featured at the Antique Car Picnic that afternoon/evening. Register your team online or pick up a registration form at the Troutdale Visitors Center or City Hall.